Retired Army Maj. Richard Ojeda, who briefly ran for president, will be the main speaker at the “Rise Above” rally on Thursday protesting President Donald Trump’s campaign stop in Grand Rapids. 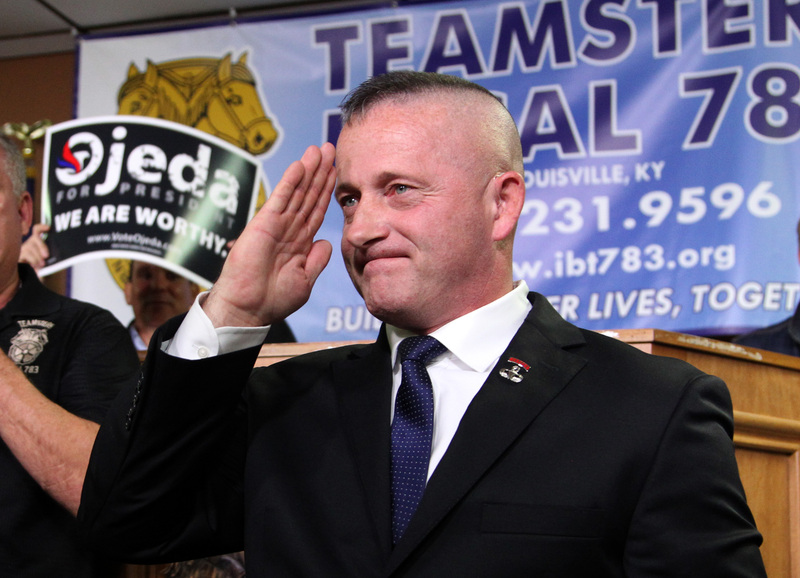 Ojeda, a Democratic former state senator from West Virginia who helped lead a teachers’ revolt, was defeated in his 2018 congressional race. He garnered significant attention since he voted for Trump in 2016 but said he soon came to regret it. He left the presidential race in January. Ojeda arrived in West Michigan on Wednesday and will be there until Saturday, working with Democrats to reach out to veterans and Trump voters ahead of the 2020 election. Michigan Democratic Party spokesman Paul Kanan said Ojeda is committed to helping with its quest to ensure that the state is “not going to be Donald Trump’s this time around” after he won Michigan in 2016. The “Rise Above” rally is slated to take place from 5 to 8 p.m. in Rosa Parks Circle in Grand Rapids, Kanan said. The event is scheduled to have the “Baby Trump” balloon. Other speakers will include state Rep. Rachel Hood (D-Grand Rapids); Kent County Commissioner Robert Womack; and two former congressional candidates, Cathy Albro and Dr. Rob Davison, now executive director of the Committee to Protect Medicare and the ACA. “Groups will be there one reason: Donald Trump and his ideas aren’t welcome here,” Kanan said. Trump is expected to campaign hard in Michigan, as it was one of the states key to his 2016 victory. Michigan has already had four Democratic candidates for president campaign here: former U.S. Rep. Beto O’Rourke (D-Texas), U.S. Sen. Kirsten Gillibrand (D-N.Y.), former tech entrepreneur Andrew Yang and former U.S. Rep. John Delaney (D-Md.). Scheduled to come in May are: U.S. Sen. Kamala Harris (D-Calif.), U.S. Sen. Amy Klobuchar (D-Minn.) and possible hopeful Stacey Abrams.